Photos: On coastal rock, Allihies, Co. Cork, SW Ireland. Thallus formed of minute, +/- scattered, cream to grey-green areoles, sometimes with a visible whitish prothallus. 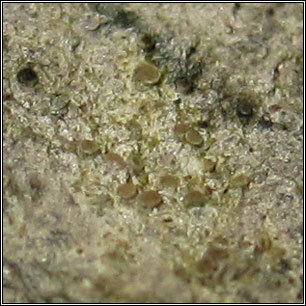 Inconspicuous white, pale green or pink-brown apothecia, 0.1-0.2(-0.5)mm, the margins becoming excluded. 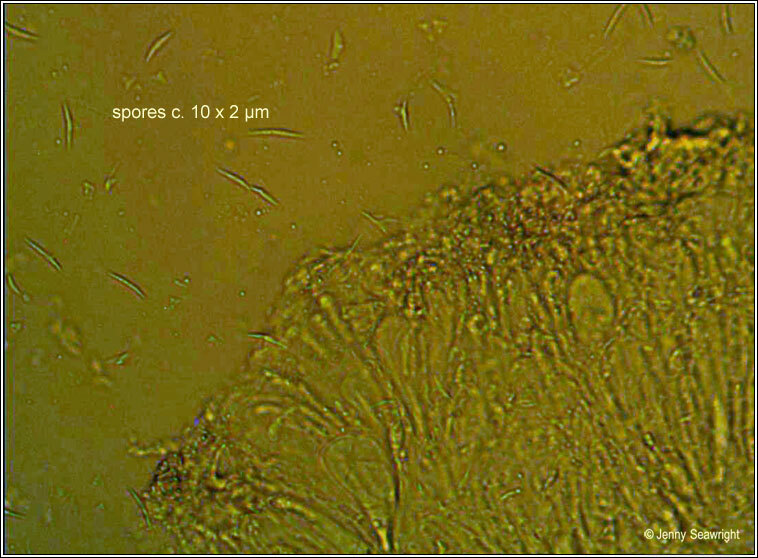 Asci 8-spored, spores pointed, usually simple but can be 1-3 septate, 7-10(-15) x (1.5-)2-3 µm. Pycnidia are frequent. Microscope photograph below. 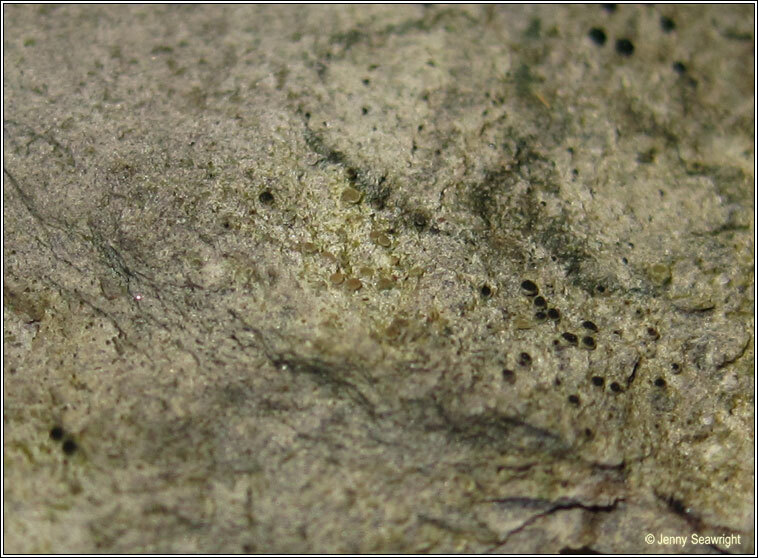 A coastal species only found in dry, shaded crevices of siliceous rocks in the 'grey zone'. Easily overlooked but can form extensive patches.